Wake up to brilliant morning light that floods into your own furnished, luxury doorman "cottage in the city" loft terrace with separate bike storage. Currently configured as a junior 1-bedroom the unit contains a queen bed and tons of closets. With extra-high ceilings and exposed beams, this space was completely renovated with a custom solid wood, floor-to-ceiling built-in library; 16 feet of glass erasable marker whiteboard; and an additional queen sized Murphy bed for guests. 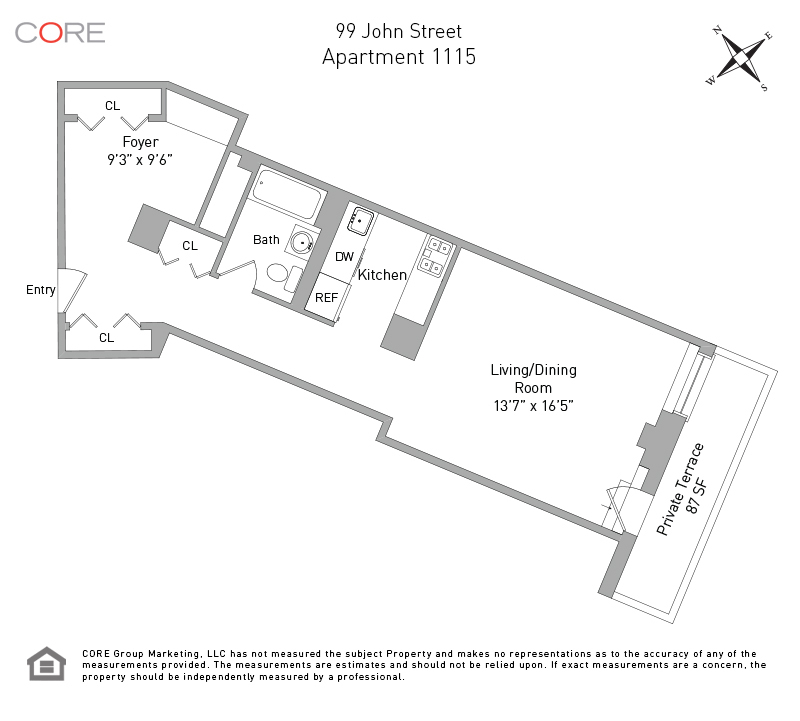 Unit 1115 is an open loft space with a 60-square-foot, east-facing private terrace bathed with sunlight. The kitchen is complete with a high-end stainless steel dishwasher, gas range, and an extra-large French door refrigerator. Some of the furnishings in the unit include white, extra-wide Hunter Douglas plantation blinds, a West Elm leather lounge chair, a reclaimed wood farmer's dining table and benches and crystal chandeliers in the living room, hallway and bedroom. 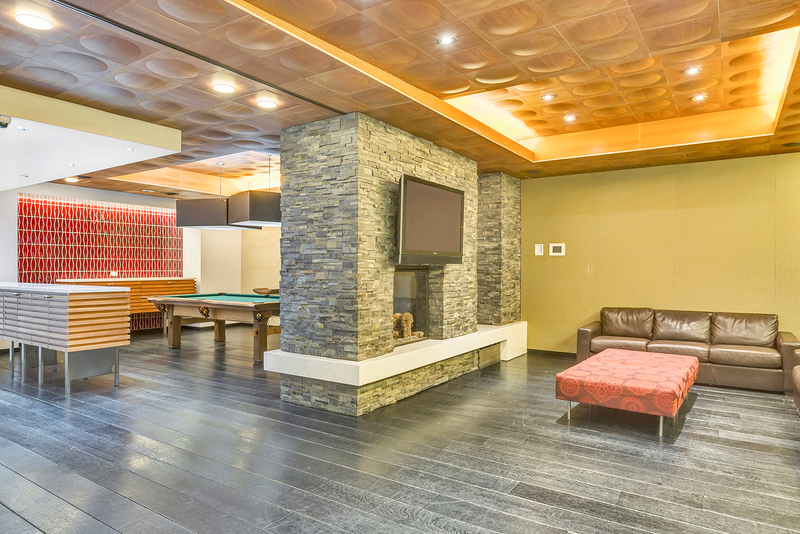 Building amenities include 24-hour doorman and management, a luxury fitness room, valet service, children's play room, resident's lounge, large outdoor Zen garden, separate indoor bike storage and garage parking for an additional fee.